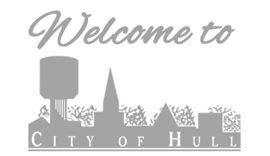 Hull believes in upholding their motto “Where Great Ideas are Born” by offering a variety of financing packages for businesses of all sizes. Whether you are just starting out, or a well-established firm, we work hard to have options for you. There are several other loan programs available to both large and small businesses who wish to do business in Hull, Iowa. Hull is committed to working with each company to ensure that you find the programs you need so you can focus on what’s really important—running your successful business. For more information on any and all of these programs, contact the Economic Development Director at 712-439-6515. Hull offers 3, 5, 7, or 10 year abatement options for your non-manufacturing business, based on a variety of factors including size of project, and number of jobs added. Hull works to provide programs suitable for projects of any size. Additionally, Hull offers a booster abatement, for those who qualify, to increase your abatement from the county. (See Industrial Property Tax Abatement). For more information, or an application, see the Economic Development Director. Update your main street storefront with this City Grant. This grant has a limit per year. Call for more information. For Businesses zoned Industrial (light or heavy) Sioux County offers a 5 year sliding scale abatement on new construction. This fund looks at job creation within 2 years of the start of the loan, and will pay up to 30% of the project, but no more than $200,000. There are several federal and State grants and programs available to assist in training new employees, and continuing training for current employees. Sioux County is an approved Foreign Trade Zone, and qualifying companies can take advantage of this zoning to lower or delay the duty on imports.